It was first week of July 2011 when Davao City was placed under the state of calamity due to destructive flash flood that hits many homes, establishments and even kills lives. Our sister company was also affected for many items has been damaged by water including their expensive machines and properties. So, our task for several weeks was to find ways how to repair or recover the drowned pc to get work again. 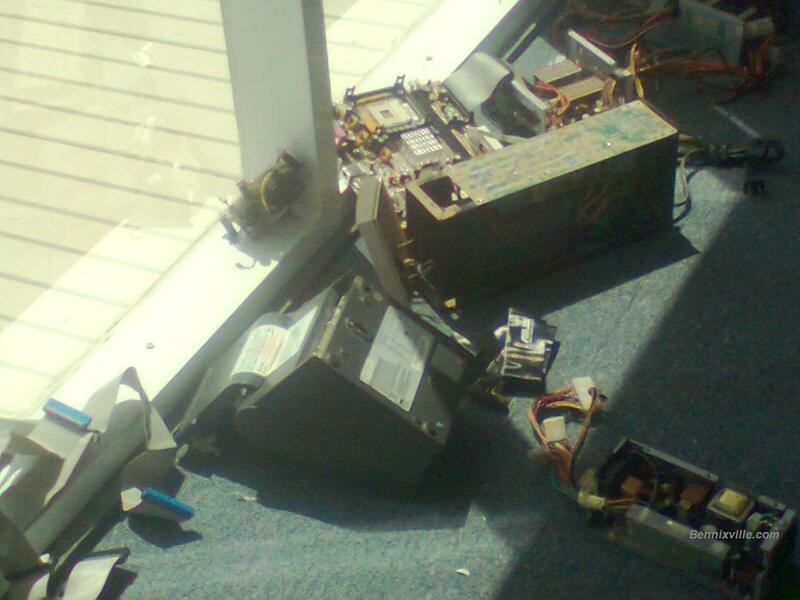 Three days after the flood, a lots of damaged items was brought to our IT office, there are CPUs, Monitors, UPS, POS Machines, AVR, Printers , keyboards, scanners and others. There is 5 to 10 percent chances of recovery if the machine is ON when get drowned or wet. About 40 to 70 percent chances of recovery if machine is OFF when get drowned or wet. This is based on our experiences but it depends on the other factors like how you have done the procedure of restoring it and so on. How to start recovering your drown PC? 2.Soft Paint Brush (New and not used) -use to clean the mud easily. Don’t use Toothbrush. 10.Pen and Papers- Record the parts placement. 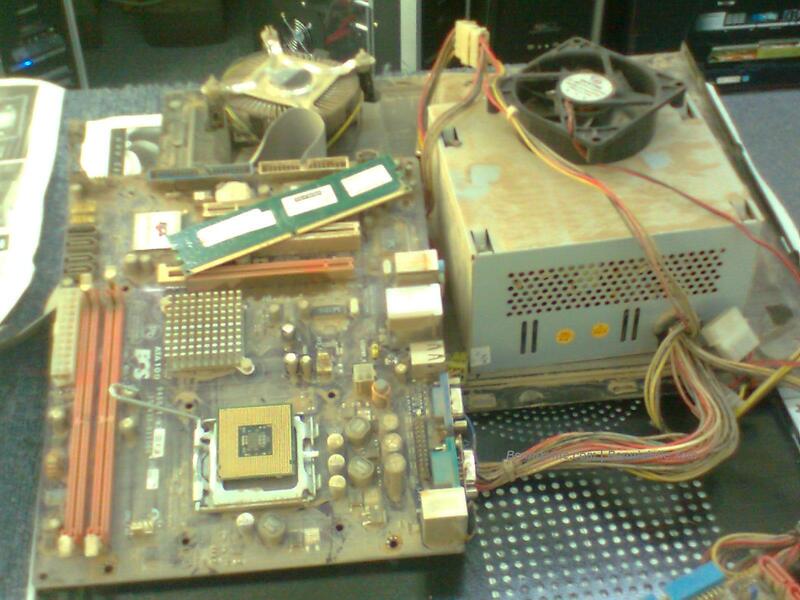 1.Disassemble the Hardware. You need to disconnect its major parts to allow you clean it easily. A.Wear your proper working attire. Using gloves is recommended. B.Open the case or any hardware cover to check inside. Front and back to reveal all sides. C.f you have a lot of machines to clean, do it one by one not by many to avoid scrambling tools. D.f you removed any parts that you’re uncertain or unfamiliar, record it using your notebook and pen. You can draw a sketch or any reminder will help you a lot when assembling again. F.Categorize the removed parts or make a good arrangement for you to easily remember or access it next time. *The Monitor is not easy to disassemble, it needs patient and technique. * Taking note about the FPanel connections is very important. 2.Cleaning the Hardware.Our second step is to cleaning the hardware thoroughly. You need to wash them all with tap water to remove any mud or acidic elements that could create a chemical reaction in the hardware then, it would ruin further. 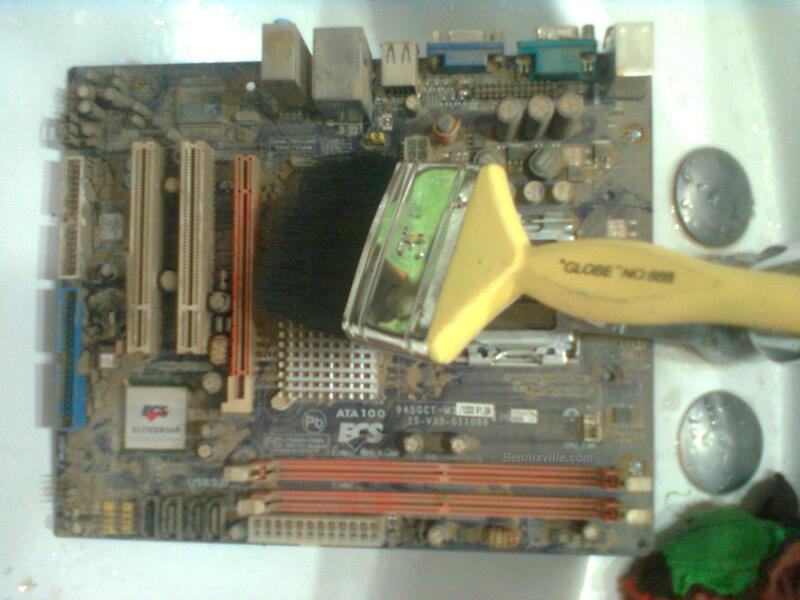 B.Finally, wash your CPU or any hardware use your soft brand new paint brush to brush any sides. Make sure to remove all mud particles from small compartments. C.After washing put the hardware in a dry space with direct sunlight is a good idea. Don’t wash directly the UPS w/o removing battery. There might be a reserved current, it’s risky. A.After washing, you can place the machine under sunlight to help you get dry fast or with your power blower starts drying the clean parts. B.You need to detach major parts to make every corner could be dried up by your power blower or sunlight. C.Drying period will usually take 3 days to 2 weeks it depends on environment. If dried already you can apply a little thinner or alcohol to avoid the machine get more rust. 4.Assembling the Hardware. Finally, after drying up is done, assemble again all the components carefully.You need focus, don't rush! 5.Testing. Testing is the last critical step. If it turns on without bursting then, you’re successful or else it’s dead.Congrats! .Some devices lose its light indicator but it has a power then, you need to be careful,it’s risky. .If you heard a hard disk sounds like constant clicking turn off your machine immediately to avoid further damage.
. The most important component to save is the hard disk it stores all the computer data. In our case I could say that we have recovered almost 70 percent of our machines. So, the rest would be a junk or buy a new parts for the replacement. We have learned a lot of things because of these; we never thought that a drowning PC can be saved by just washing and drying it up properly.